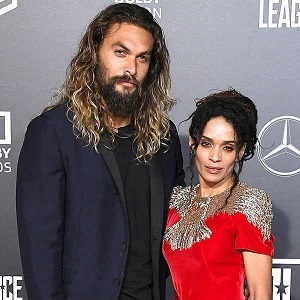 [Blind Gossip] Jason Mamoa and Lisa Bonet announced that they secretly married last month after more than ten years together. Good for them! There are two other celebrities who have been together for at least a couple of years. Everyone always asks them when they are tying the knot. Well, guess what? They also secretly married but never made a public announcement about it! Guess they are both pretty good at that acting thing! [Optional] Do you think our other couple’s marriage will last five or more years? I can’t imagine Miley wouldn’t be wanting to cry from the rooftops. She’s been supposedly changing to or pretending to for years to land her Hemsworth. Jordin Sparks, but she’s a singer. 5 or more years means Katie Holmes & Jamie Fox are secretly married. I wish they’d come out already! This is crazy! Eva Mendez and Ryan G.
Miley and Helmsworth? If it’s them, no way will it last more than 2 years. Ryan Gosling and Eva Mendez? I KNOW RIGHT?! Tough call for me between Lenny and Jason…..that is one lucky woman!!! ^^^This is my favorite guess! Jason Sudekis and Olivia Wilde? It definitely makes since to me if this were Ryan Gosling and Eva Mendes. Eva is not the type to just settling down out of the spotlight, put her career on hold, and not get anything less than a ring out of it. Ryan is super private so it would make sense that he keeps it quiet. Eva is known for being a diva, if he wasn’t marrying her, do you think she’d be okay with just disappearing off the face of the earth to play a baby mama? No lol. I don’t think Liam will ever marry Miley. lol I’m gonna throw Blake Shelton and Gwen in the mix!! I’m a big fan of the Secret Wedding. To me, it seems like they really want to be together, rather than selling the pics to a magazine. I’m sure that both of Princess Diana’s sons want nothing to do with the press. I’m gonna guess Rose Byrne and Bobby Cannavale. She was apparently really weird when they referred to him as her husband in a talk show recently. I guessed Michael Fassbender and Alicia Vikander. They r both considered top actors. But isn’t this one solved? 5 years or more? Yes.